Everyone needs a mid-day pick-me-up. But I swear, when I look online for healthy snacks, I find a whole lot of blah. I want clean unprocessed snacks. Real food. But I don’t want to compromise flavor for health. 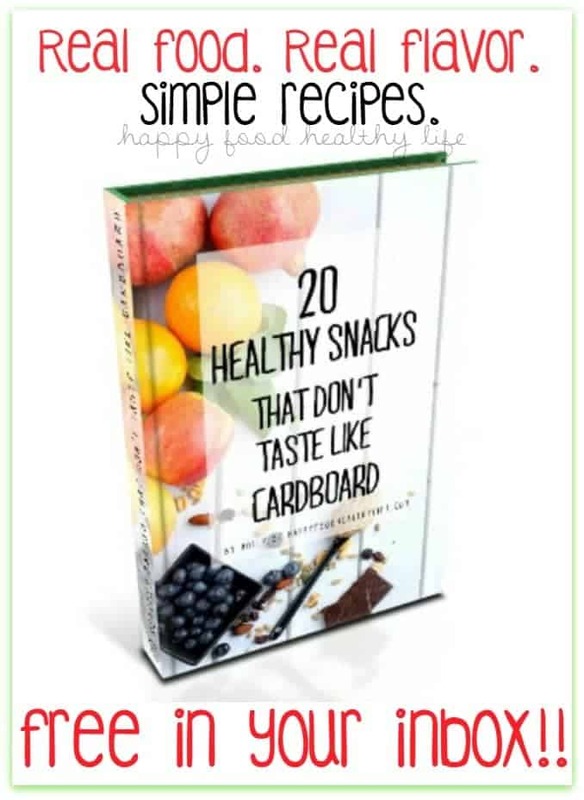 So, because I had a hard time finding what I was looking for, I decided to come up with my own healthy snacks and put them together in a nice little book for you! Because I’m sure you’ve had this same struggle from time to time. It’s completely free to you for signing up for my email newsletter. In my newsletter, you will receive exclusive health & fitness information from me, personal experiences, updates, etc. These are things you won’t be able to find on the blog, so it’s totally an added bonus! Spam – that’s for sammiches. Excessive emails – even if I wanted to, I do not have the time to blow up your email. **I will never sell or give away your email address. I promise to keep them all safe and sound. So get signed up, you’ll receive your cookbook, and then you can whip up some amazing healthy snacks that taste nothing like cardboard!